49cc scooter for sale, Affordable, Strong and stylish build that has the added benefit of being a great gas saver. 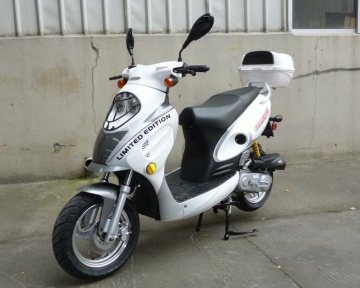 The 50cc engine has regulated speeds of 30 MPH, meeting all state and federal regulations , making it legal for you to own and operate this 50cc scooter without a drivers license. 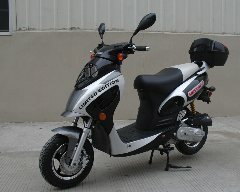 We back this scooter with a one year warranty on the engine six months on the powertrain and three months on your parts, which include the entire electrical system, carburetor, cdi unit, and starter. Anti-Lock ABS Drilled Disc Brakes Standard with Countyimports.com. 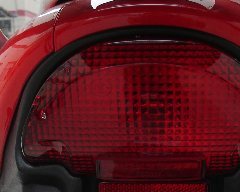 Oversized extra-bright rear tail light for added visibility. See and be seen with this extra! Oversized Dash Display for easy to use controls. NO squinting to see your speed! Safety first! Double Kick Stands for universal storage! Great for quick stops or long term parking. Free $65 Battery and $9.99 Tool Kit Standard! Start riding sooner and never be left without the right tool you need! BE A RESPONSIBLE RIDER! FOR SAFETY, READ YOUR OWNER'S MANUAL. 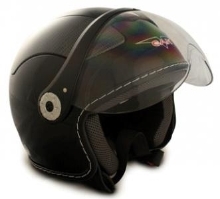 ALWAYS WEAR A HELMET, EYE PROTECTION, AND PROTECTIVE CLOTHING! NEVER RIDE UNDER THE INFLUENCE OF DRUGS OR ALCOHOL! ATV's - Parents consider your youngsters age, size, ability, and maturity before allowing them to ride. SCOOTERS, MOPEDS & MOTORCYCLES - Never ride on non-paved streets or non-public roads, and never carry passengers on your moped unless equipped to do so. Never engage in stunt driving or ride at excessive speeds. Be careful on difficult terrain. Riders under 16 years of age must be supervised by an adult. CountyImports.com recommends that ALL riders take a training course. For more information visit the ASI website safety.org. Not just in stock but viewable online! 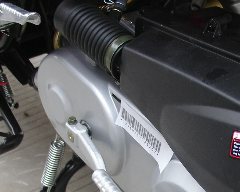 We know there is so much more to just buying a wholesale motorcycle, gas motor scooter or moped. As a veteran dealer with over 5 years of online shipping experience we have built our company with a stable foundation. Carrying parts and the ability to easily find what you need is more important that just the initial sale! With that statement we naturally are willing to back up our comments with a fully functional, automated and user friendly department just for you the customer! So, when it's time for your first service and if you ever need anything from a spark plug to a tire. We got you covered. With over 60,000 parts in stock at the click of a mouse you are rest assured when you need it, we have it! You have nothing else to worry about! That is our promise to you! We know you work hard for your money. We also understand the need for peace of mind in a purchase. Now, you have the power to customize your own warranty protection to fit your needs. As a standard, we always offer a free warranty of every single product we carry. We also carry parts for these products. After over 7 years and over 25,000 customers served, we know what coverage will best service you the customer. When adding this item to your shopping cart you will be asked to select your warranty coverage. Remember, there is always a FREE standard warranty offered with every purchase, however we also offer longer coverage periods. Please keep in mind you must PRINT OUT the warranty agreement, sign and mail -or- fax it to our office to become active. We suggest you complete this and mail it while waiting for your new unit to arrive! This way from day one you are covered! Here are the following warranties available. Please note any warranty offered is a parts only warranty. Unless you purchase directly instore from CMS or can bring your machine to our location for service. This warranty however long the term you select will cover everything noted HERE. Please feel free to contact us for assistance or with questions.